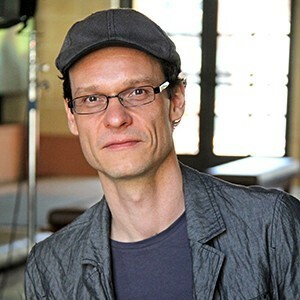 Andreas Kratky is a media artist and associate professor in the Interactive Media and Games Division and the Media Arts and Practice Division of the School for Cinematic Arts of the University of Southern California. Kratky’s work focuses on new forms of cinema and the poetics of the database. It spans the arts, human computer interaction and digital humanities and comprises several award winning media art projects like “That’s Kyogen”, the interactive installation and DVD “Bleeding Through – Layers of Los Angeles 1920-1986”, the algorithmic cinema system “Soft Cinema”, and the interactive costume projection in the opera “The Jew of Malta”. Kratky’s work has been shown internationally in Europe, USA, Japan, and Korea in institutions like the ICA in London, ICC in Tokyo, HDKW in Berlin, Centre George Pompidou in Paris, and REDCAT in Los Angeles. For his work on the modeling software “Xfrog” Kratky was nominated with the Xfrog-Team for the Science and Technology Award of the Academy of Motion Picture Art and Sciences.